Note: Although I consider myself photographically competent, I need to acknowledge the information and insights I received from two trusted photo industry friends as I researched these two articles on Camera Sensors, Tom Houston of Pro Photo Supply and Dave Sleeth of Advance Camera -- both organizations are Portland, Oregon camera stores. 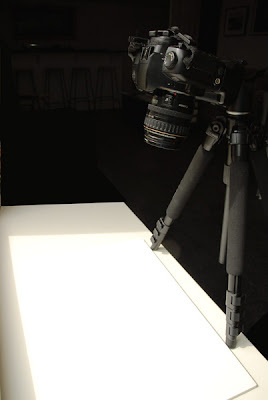 Each gentleman helped me develop this information in a manner that would be most easily understood by the community of beginning DSLR photographers who read my educational blogs. Technologically, my Canon D30 has been eclipsed several times by newer models with greater resolution and up-to-the-minute innovations. But because it was my first professional DSLR and the comfort factor I experience with the camera, I continue to grab it whenever my work doesn't require extremely high resolution files -- like the images used on my Internet website and blogs. I have taken this camera everywhere -- Spain, France, Alaska, New York and throughout the southwest U.S. to name a few. It has been exposed to virtually every climate and weather condition imaginable. Although I keep the camera and lenses clean and protected, I began to notice spots on my pictures. These spots were especially obvious when I was using a small aperture opening and the background was a smooth single color. Clear blue skies made these imperfections especially visible and distracting. 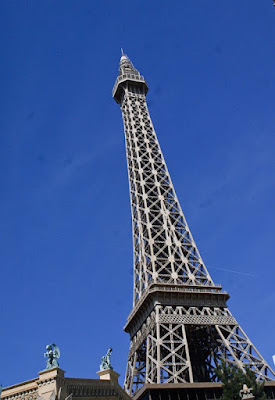 Figure 1 - Eiffel Tower (Las Vegas version). Original on top. Enlarged version beneath. I knew all along that the problem was dirt falling on (and sticking to) my camera's sensor. But, to me, cleaning my camera's super-sensitive sensor was akin to taking out my own appendix. I'm no surgeon, and this wasn't an operation I was looking forward to attempting. This first article on camera sensors will provide you with the information for determining the "dirt status" of your sensor and deciding if your sensor needs cleaning. My next post will detail the options available for cleaning a dirty sensor. Nothing shown in this article has the potential of harming your camera or costing you anything, but the following procedure should be carried out occasionally to determine the state of your sensor. Visually checking the "dirt status" of your camera's sensor is a simple process, but it does take a little time. The camera's imaging sensor is well hidden in a DSLR. It is located behind the mirror and then behind the curtains that make up the camera's shutter. Consequently, taking off the lens and looking inside the camera body does not allow you to see or inspect the sensor. while you're at it, shoot a couple extra -- just in case. 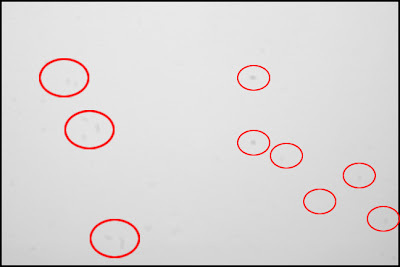 Figure 4 -- Same as Figure 3, with dust spots circled in red. Figure 3 is the "straight out of the camera" image as seen in Photoshop. 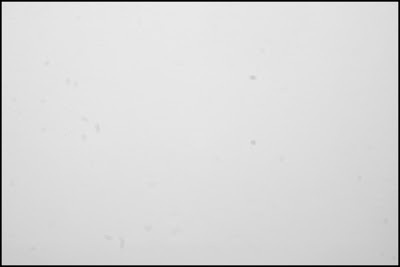 At the picture size in this blog, it might be difficult to locate the dust spots on your monitor. 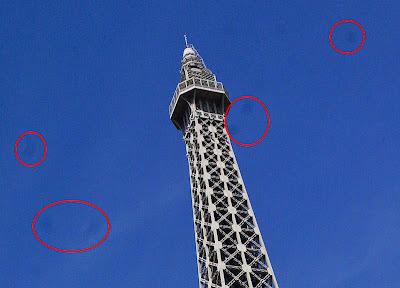 So, in Figure 4 I circled the dust spots in red. Figure 5 uses a command within Photoshop called "Equalize". (The Equalize command redistributes the brightness values of the pixels in an image so that they more evenly represent the entire range of brightness levels.) Although it's not important here to understand how Equalize works, the results when applied to this test are dramatic. 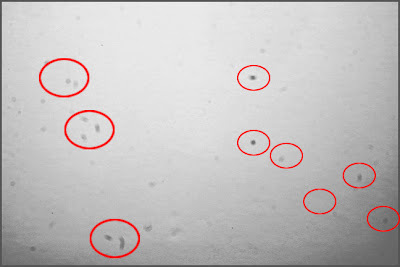 The dust that sits on my camera's sensor is readily apparent in Figure 5, and more prevalent than I was able to identify in the red circles of Figure 4. Conclusion: Hub has a very dirty camera sensor. The next post "How to clean a DSLR sensor" will tackle the problems and dangers of cleaning a dirty sensor as well as the steps you can take to minimize dust reaching your DSLR's imaging sensor. In the meantime, get ready for the next article by performing the simple test above to see the current condition of your sensor.